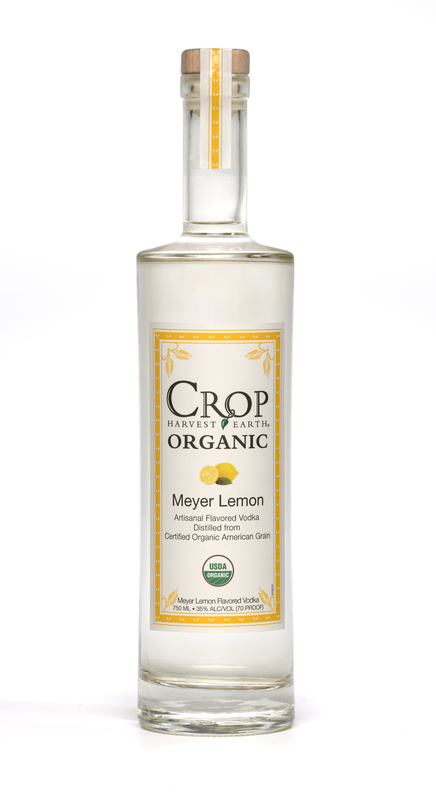 Crop is a big name in the organic vodka space, and the latest release — Meyer Lemon — from the Princeton, Minnesota-based company is a standout. The nose is clean, with that unmistakable mix of orange and lemon notes that can only be the elusive Meyer lemon. Intense and fruity, it masks any sense of alcohol on the nose. On the tongue, it’s somehow even better: Very crisp Meyer lemon character, tinged just so with pineapple and marshmallow sweetness, with a modest to light medicinal underpinning to remind you you’re drinking vodka and not liquid candy. Loaded with mixing possibilities, it also drinks wonderfully well on its own. If you’re looking for a lemon-fueled vodka to add to the back bar, you’ve found it. Combine all ingredients in an ice-filled cocktail shaker. Shake and strain into a chilled martini glass. In an ice-filled collins or highball glass, combine everything except the club soda. Stir until mixed, top with club soda, and garnish with lemon wheels. In a cocktail shaker combine all ingredients except for the bitters, fill with ice, and shake until well chilled. Strain into an ice-filled rocks glass, garnish with a dash of bitters, and decorate with mixed citrus fruits. Shake first two ingredients in a cocktail shaker. Add ice and rest of the ingredients. Shake vigorously for twenty seconds and strain into a martini glass. Would like to know where in the South Bend/Mishawka, IN area can I purchase the CROP Meyer Lemon Vodka?